Втулка служит для направления шомпола в канал ствола безопасным для нарезов способом. Втулка также защищает УСМ и магазин от попадания агрессивных сольвентов, используемых при чистке. 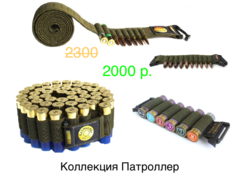 Длина втулки 10 дюймов, в комплект входят запасные резиновые кольца. 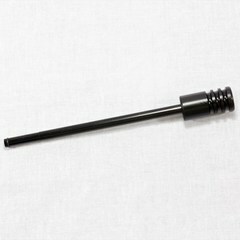 The Dewey Adjustable Bore Saver Cleaning Rod Guides replace the bolt in your action while cleaning. The guide allows the cleaning rods to go straight into the bore without harming the chamber or throat. 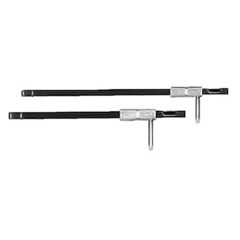 ABS Rod Guides are made from anodized aluminum, and available in 5 sizes. 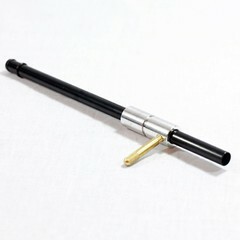 The guide also features a solvent port for adding your favorite cleaning chemicals, a rod guide collar with a threaded brass adjustment pin that allows for quick adjustment to any bolt length and chamber sealing o-rings eliminate solvents from coming back into the action, trigger group and magazine areas. 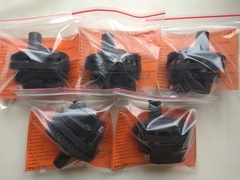 On some rifles, the bolt stop can be used to retain the rod guide by using the groove provided on the guide collar. They can be used with all types of cleaning rods. ABS models fit bolt action rifles with bolt body diameters between .695 and .700 inches, which encompass the following actions: Remington 700, 721, 722, 788, 40 x x7, 600 and XP-100; Ruger 77; Winchester 54, 56 and 70; Savage 110 and 112 V; Mauser 98; Springfield, Browning A-Bolt, CPS and Dakota; M1917 Enfield; Kimber 89 and any clones and rifles based on the aforementioned rifles. All adjustable guides allow brush clearance through the tube inside diameter and come with spare o-rings and o-ring assembly tool. If ordering a rod and rod guide, be sure to add 10-13 inches to barrel length plus additional length for muzzle exit and stock clearance to determine correct rod length needed. ABS models are not compatible with WSM cartridges, but can be modified to fit. Please contact us in order to do so.